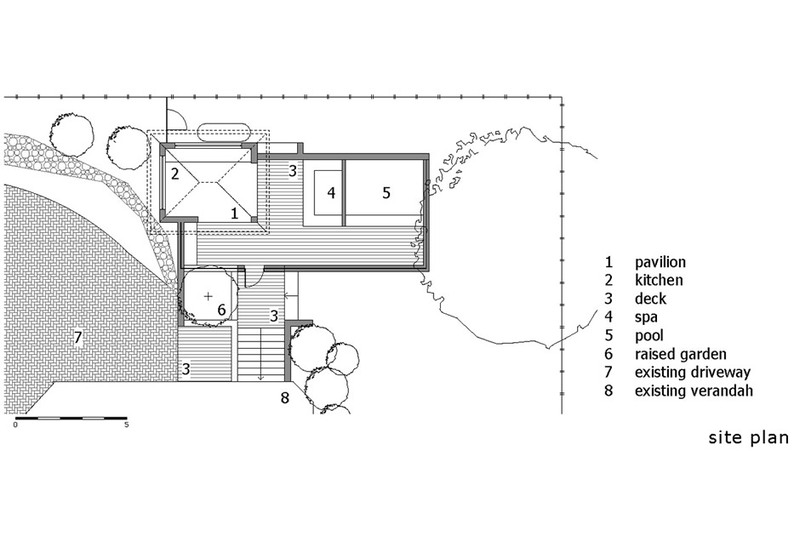 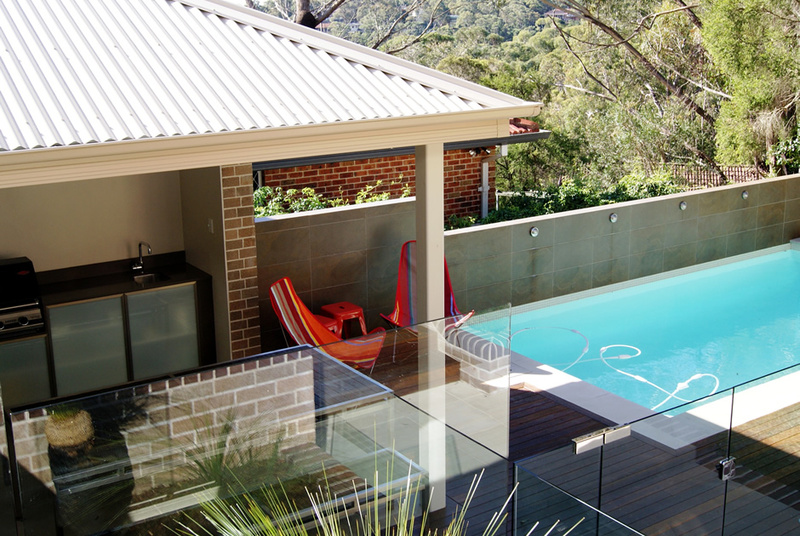 This simple pavilion and in ground pool was designed to complement the existing family home located on this bushland site on the high side of the Georges River. 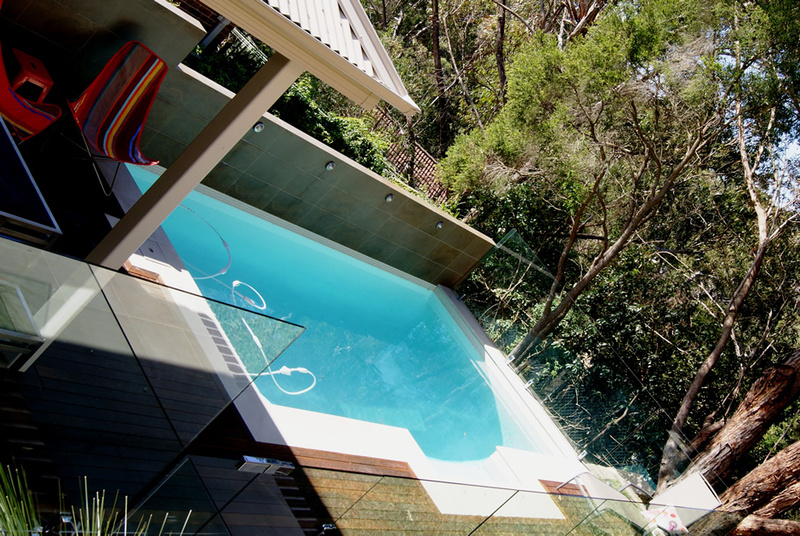 The main house materials are reflected in this new pavilion, Bowral brown bricks have been used for the main structure and the retaining walls, sandstone and timber are used for detailing the decks, stair and pool surrounds. 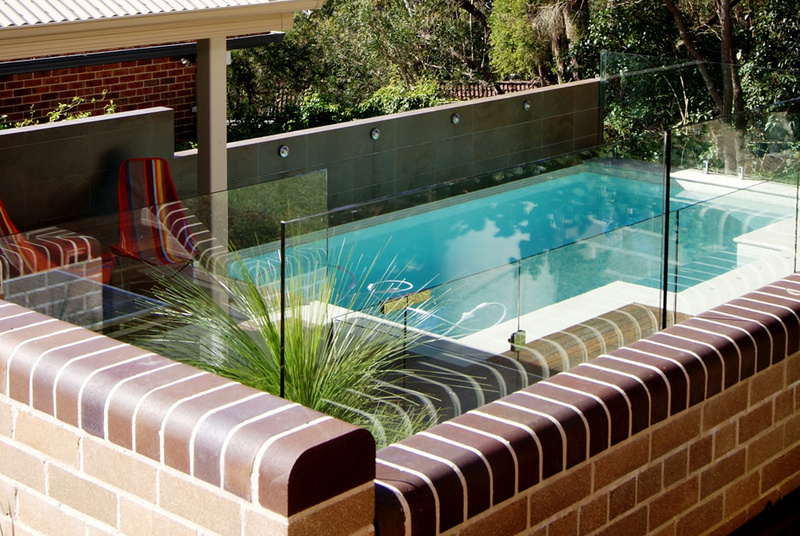 A high solid wall is positioned to the rear of the pool to provide additional privacy from the neighbours to the north whilst presenting a more dramatic backdrop for the small pool itself. 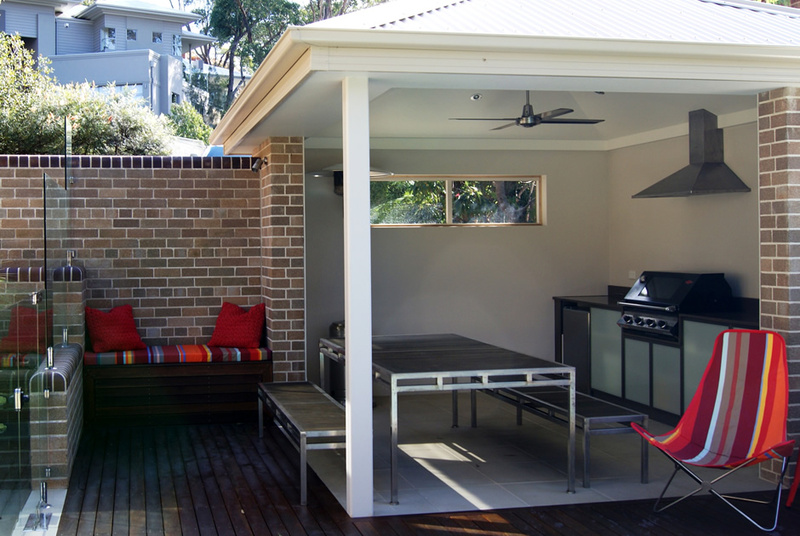 The pavilion fit out provides an outdoor kitchen and lounge area adjacent to the pool for entertaining. 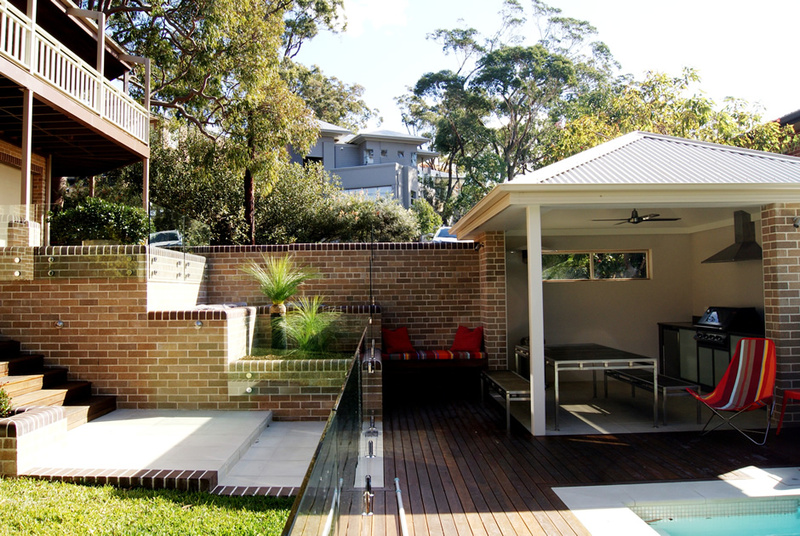 Planter boxes, glass balustrading and landscaping elements provide the final elements in the creation of this cabana and pool addition.